just Glenn and Laura at the for-profit journalism company created by the founder of eBay...."
in funding opposition groups prior to the revolution. government. 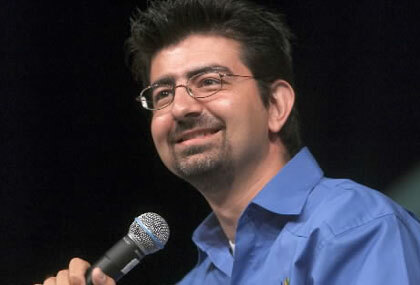 Step out of the shadows….Pierre Omidyar. 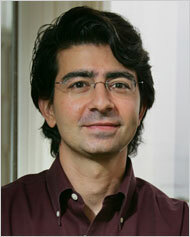 And anyway, who the hell is Pierre Omidyar? philanthropist, who is the founder and chairman of the eBay auction site. A billionaire at 31..." who is financing journalist Glen Greenwald. of secret US files stolen from the CIA/NSA by analyst, Edward Snowden!! 3) Edward Snowden is a Spy maybe - and/or a Psyop maybe. (NED) (NSAID), then you are getting the idea. Is that enuf? Ed Snowden --precisely because of such concerns. all about Pierre Omidyar and Snowden's buddy Glen Greenwald. 1. Omidyar is funding a $250 million dollar new media venture with Glenn Greenwald based on the Snowden documents. 2. Omidyar Network and Booz Allen Hamilton are both partners/investors of InnoCentive. 3. Omidyar Network and a member of the Board of Directors of Booz Allen Hamilton, Philip Odeen, are both major shareholders of Globant. Sal Giambanco, a partner at Omidyar Network, is on the Board of Advisors of Globant. Philip Odeen is on the Board of Directors of Globant. 4. Dhaya Lakshminarayanan, Michael Kent, Pranay Chulet and Patricia Sosrodjojo have all worked in strategic positions at both Omidyar Network and Booz Allen Hamilton. Is this all circumstantial evidence? Are these connections acceptable or not given the gravity and sensitivity of the global surveillance situation? Has a revolving door of corporations with government ties regained a degree of control over the documents that were leaked by Snowden? What are the full intentions of First Post (NewCo, the $250 million dollar new media venture between Greenwald, billionaire Pierre Omidyar and others)? Is there a conflict of interest between Omidyar Network, Booz Allen Hamilton, Sal Giambanco (Partner of Omidyar Network and Globant), Philip Odeen (Partner of Booz Allen Hamilton and Globant), Glenn Greenwald, Edward Snowden, the NewCo & the National Security community? What does Edward Snowden think of these connections and the massive profit being generated from his disclosures? Is he upset about it or is he getting a slice of the pie? Ed! Let us know what's going on! When will the rest of the documents will be released? Will any be withheld and why? Where do you draw the line between 'non-publishable' leaked intel and information the public has a right to know? Why aren't these questions being deeply engaged by mainstream press? Why is most of the alternative press ignoring it? UPDATE: Greenwald has published this response, which is appreciated. it isn't fair to single him out when Poitras has equal holding of docs. investments it has made suggests that its founder is anything but a "different" sort of billionaire. Omidyar Networks. You should ask them that." among the more momentous and nauseating charades perpetrated on a frighteningly gullible public. Very nice work Mr. Dunne! The Department Of Dirty Tricks runs deep at not only First Look Media, but also with InnoCentive and their direct connection to the Rockefeller Foundation, and Drug Maker to the Stars; Eli Lilly. InnoCentive came to Alpheus Bingham and Aaron Schacht in 1998 while they worked together at Eli Lilly and Company during a session that was focused on exploring application of the Internet to business. The company was launched in 2001 by Jill Panetta, Jeff Hensley, Darren Carroll and Alpheus Bingham, with majority seed funding from Eli Lilly and Company. Darren Carroll led the launch effort and became the first CEO. In 2005, InnoCentive was spun out of Eli Lilly with investments led by Spencer Trask of New York. In December 2006, shortly after Dwayne Spradlin took the helm as CEO, the company signed an agreement with the Rockefeller Foundation to add a nonprofit area designed to generate science and technology solutions to pressing problems in the developing world. Jeremy Scahill: Author of “alleged’ tell all book on Blackwater USA which still continues today as Xe Enterprises. Laura Poitras: Filmed the “Leaky" ship of fools NSA Blowhard Bill “Bailey” Binny. Matt “tabloid” Taibbi: Former Rolling Stoner and overall loser in media whom spent “a year” going to school in St. Petersburg. Yeah right. There’s a hell of a lot more going on here. We need to keep digging in the dirt. The evidence is there. Let's face the fact...the system is corrupt to the core. It is Fascism...the merger of state and business. I add info to the NDAA Police State thread because it is relevant. However, dodgy backgrounds of key people seems to abound....Edward Snowden didn't actually work for the NSA, he worked for a contractor called Booz Allen Hamilton (Booz Allen Hamilton, the NSA contractor that employed Snowden after his stint at the CIA) as a computer technician. How did it come to be that Snowden, working for a private company, was able to leak information about a top secret surveillance program? At the end of its last fiscal year, in March 2013, Booz Allen Hamilton reported $5.76 billion in revenue. A full 99% of that came from government contracts, as did $219 million in profits. Almost a quarter of its revenue -- $1.3 billion -- was from major U.S. intelligence agencies that have been all too willing to dole out cash to intelligence contractors over the past decade. About 70% of the 2013 U.S. intelligence budget is contracted out. On August 2, a $900 million contract to support cybersecurity at the Space and Naval Warfare Systems Center Atlantic, providing services to the Navy and Marine Corps among others; on July 23, $78 million in civil health contracts from the Department of Veterans Affairs and the Department of Health and Human Services; on June 21, a $25.8 million contract with the Department of Transportation. Earlier in the year, Booz Allen was awarded: a $315 million contract with the National Geospatial-Intelligence Agency; $11 billion in the form of two five-year contracts from the Department of Homeland Security; a $5.6 billion Defense Intelligence Agency contract; $95 million in contracts with the Space and Naval Warfare Systems Command; and yet another set of Department of Transportation contracts worth $102 million. James Fisher, the senior manager of media relations at Booz Allen, declined to comment on this latest contract and the post-Snowden landscape for the firm. Beltway firms large and small have been buffeted by the sequester. But Booz Allen continues to score new business. Its stock has, in fact, rallied since the Snowden revelations. In 1940, Secretary of the Navy Frank Knox turned to Booz, Fry, Allen & Hamilton, a consulting firm in Chicago whose best-known clients were Goodyear Tire & Rubber (GT) and Montgomery Ward. The firm had effectively invented management consulting, deploying whiz kids from top schools as analysts and acumen-for-hire to corporate clients. Working with the Navy’s own planners, Booz consultants developed a special sensor system that could track the U-boats’ brief-burst radio communications and helped design an attack strategy around it. With its aid, the Allies by war’s end had sunk or crippled most of the German submarine fleet. That project was the start of a long collaboration. As the Cold War set in, intensified, thawed, and was supplanted by global terrorism in the minds of national security strategists, the firm, now called Booz Allen Hamilton (BAH), focused more and more on government work. In 2008 it split off its less lucrative commercial consulting arm—under the name Booz & Co.—and became a pure government contractor, publicly traded and majority-owned by private equity firm Carlyle Group (CG). In the fiscal year ended in March 2013, Booz Allen Hamilton reported $5.76 billion in revenue, 99 percent of which came from government contracts, and $219 million in net income. Almost a quarter of its revenue—$1.3 billion—was from major U.S. intelligence agencies. Excellent background on the Boozers SPF! Is there no end to the level of depravity and deception within Goverment(s)? One can't even get around the depth of this crap as it has so many arms and legs, connecting companies to each other with former and current politicians, military, and private sector pundits. Its no wonder there is little or no money for anything but defense, surveillance, and black ops. When will the people rise and say; "enough, God Dammit!" It isn't the release pace of the secrets which give me reason to doubt that something fishy is going on, it is the dearth of 9/11 related secrets. Or have I missed something? Yeah, isn't 9/11 beautifully airbrushed out of all these alleged whistleblower revelations! No wonder the "Booz"ers and Lilly are in the frame. PandoDaily revelations about Ukraine links and the Booz Allen angle! Why now? Oh, 'bcos it's time for a mainstream whitewash, what else? then a nice, clever 'framing' headline is absolutely essential. on 27th Nov, 2013 - all about Greenwald and Omidyar. on 28th Feb, 2014 - all about Greenwald and Omidyar. TWO articles in three months! Now that's virtually stalking behaviour!! Clearly Pando have some kind of wierd vendetta-like vibe going on. So, this is not investigative journalism. It's downright harassment. Y'see! It's just a "TUSSLE" between a few people. It's like... Fight Club! It's not investigative journalism. It's a cat fight online. These Pando guys are internet crazies who: actually use Twitter! "Paul Carr [of Pando] has made prolific use of Twitter..."
"Is this a scandal that needs to be addressed, particularly by First Look journalists? It is interesting and newsworthy. It concerns a well-funded general-news enterprise about which there’s a lot of curiosity. Greenwald should just respond to Pando and move on." MR. WHITEWASH. YOU THE MAN! over what we do with the personal data of citizens grabbed by the NSA. Sen. Rand Paul, have all filed lawsuits against the NSA phone program. and that his initial denial of the government’s request was a charade. “Walton is very much a pro-government-type judge,” Klayman says. Congrats, Mr Klayman. You nailed it. Judge Reggie Walton = the NSA!! 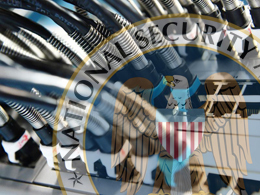 well-connected, Judge Reggie oversaw the NSA's spying programs. Now he's making pivotal rulings on the NSA material. summary "dummy's guide" to how NSA overlordship works. Vladimir Putin himself in a TV special on Russian TV. He's a Star! The boy is a bankable, verifiable, 100% Star! Because.... ED SNOWDEN IS A GLOBALIST PLOT! Now the pieces fall into place. It's those pesky UN, Agenda 21-loving Globalists - yet again. the Wash Post have already nabbed themselves a Pulitzer. which gave a Nobel Peace Prize to the Pretender In Chief B. Obama! And now he's on commie TV with the GodDamn Leader of the Commies!! What more proof of this Commie traitor's Globalist roots do you need!!! Let's regain some balance by delving into the meaning of "Globalists." "a Globalist is a Democrat." And vice-versa. the USA's best defense against the oncoming godless commie horde." slogan for the BUSH BOYS. It was a political meme to draw you in. Whereupon the "globalists" became: all enemies of the Bush (re)election. So, how do we place Snowden and what are clearly "Globalist" forces today? The Military Industrial Complex is a tired brand (esp after Iraq/Afgh). So, try New Military Industrial Complex LITE!! ......'Ya know. 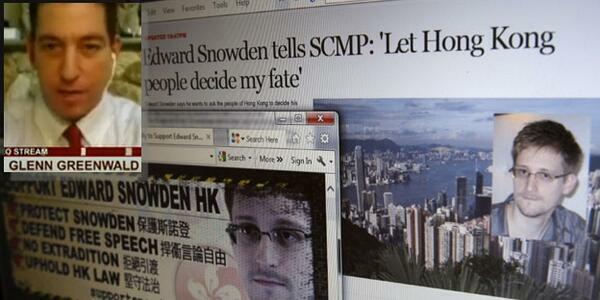 In other words, at the political level Snowden is a useful political MEME. "Don't let GOP win, fer cryin out loud." "Team BushLITE(TM) will protect us from the excesses of Team BUSH"
That's the simple political level. But there's a strategic level as well. exploitation and enrichment via info and invention theft and war. This private-public army had to be penetrated and discredited. That's where Snowden came in. have colluded to fill their nation's mainstream TV with Snowden leaks. Then there's a level at which this is Old industry V. new Industry. Old - as in military versus New - as in technology. up the meme of international whistleblower), the........ Assange Gambit. (Think Nobel and you think.... Nordic? Check. So, get ready to cheer for Snowden and Team BushLITE. The job at hand is to trim your expectations. To lower your sights. And to move goalposts. to hold major NSA story but the Post didn’t? convinced him to delay publication. got tired of waiting for Greenwald to get the green light from Uncle Sam. NZ gov't involvement with "Five Eyes"
WELLINGTON, Sept. 15 (Xinhua) -- Three international fugitives from U.S.
surveillance of its own people and contributing to the "Five Eyes"
charges of copyright piracy and money laundering. encrypted video system hosted by Dotcom's Mega company. through a network of "sensors," including a sensor in New Zealand. government documents to prove the claims were "simply wrong"
and based on incomplete information. the documents were intended to distract and blur the facts. on changing New Zealand's spy laws last year. documents regarding national security to protect his own reputation. "radical extreme project" of mass communications surveillance. players in the other Five Eyes countries. This gig was organized by Kim Dotcom - who decided whom to invite. refer remain well under wraps. that the the timing was not designed to affect the imminent NZ elections. Yeah - sure. Dotcom wanted revenge - now he's getting it. And then some. infect computers around the world for use as launching pads for attacks. These are not target computers; these are innocent third parties. on to say whether all of those computers were actually infected. "Initial ten fold increase in Orb identification rate over manual process." against each other. This is an example of that. innocent third parties to help facilitate their attacks. saboteurs to locate vulnerable systems.